ADATA today launched the X7000 Power Bank. As the model name suggests, the device is rated for 7000mAh. The X7000 features dual USB ports for efficient battery top-up of two devices at once. Its stylish design employs the finest components and smart circuitry to provide multiple protective measures, made of highly durable materials to increase fire and impact resistance. A bespoke hairline-brushed aluminum textured surface combined together with a tough plastic side panels resulted in a unique look which differentiate the X7000 from other power banks. With a choice of three colors, the X7000 is elevated from a mediocre power charging device to a premium power charger on-the-go for smartphones, tablets, and other devices. While power banks are often thought of as generic, practical items, the ADATA X7000 power bank is a work of art itself. The combination of durable aluminum surface with tough plastic panels dissolves differences in texture into one unmatched visual experience. This innovative power bank is resistant to scratches, chipping and fingerprints smudges. Weighs merely 210g and measures up to 12mm in thickness, the X7000 could be fitted into narrow, small spaces. 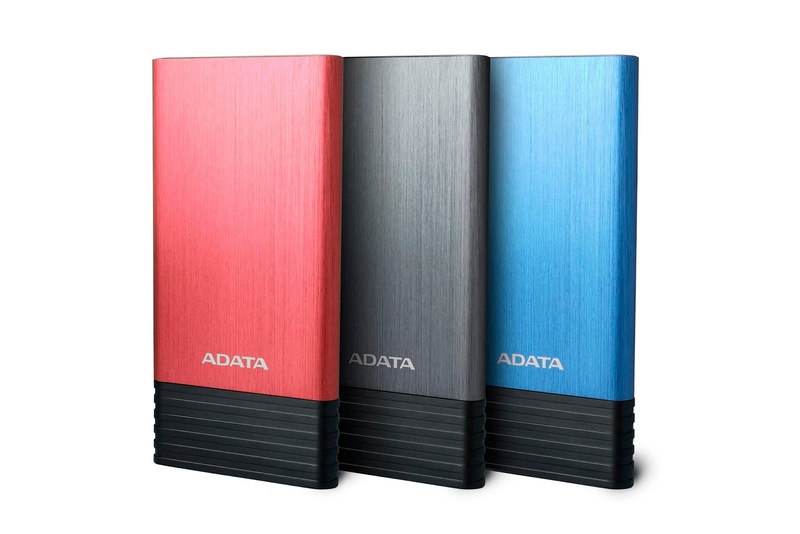 The X7000 comes in three distinct colors to better match various smart devices: Titanium grey, blue, and red. A bright white LED status indicator provides at-a-glance charge capacity information, as well as a low-charge caution to keep users informed. The X7000 includes two USB ports, providing a total output of 2.4A output as needed by connected devices. The dual ports allow users to charge two mobile devices simultaneously, saving precious time. Additionally, the 7000mAh device can fully recharge a smart phone three times and a tablet one time. Now you can have enough power to watch and shoot videos on the mobile device, take photos and surf social networks, all the long.